Who knew that eating healthy could also benefit your mind? What you put in your body really does affect your life. Kimberly Friedmutter, author of SUBCONSCIOUS POWER, shares her advice on ways to train your mind to eat better. What does eating have to do with your subconscious? Everything! In my book Subconscious Power, I introduce ways to connect with your inner mind—and talk about the importance of doing so. The benefits of listening to and caring for your subconscious, as many of my clients have experienced, include: having better relationships, developing healthy habits, building greater confidence, and increased happiness. There’s a powerful connection between what we eat, our moods, how we feel about others, and how we feel about ourselves. Moods and self-esteem are centered in the subconscious and are largely created by what we eat, have eaten, or wished we’d eaten. A poor diet not only creates physical problems, like diabetes, obesity, and high blood pressure, but studies have shown that too much sugar and salt can have a negative impact on your emotional life, as well as your moods. Mood disorders, such as anxiety and depression; diminished cognitive abilities; and addictions may simply result from over-indulging in the wrong foods. The good news is: You have a choice! Consuming sugar activates the reward system in your brain—and releases the neurotransmitter dopamine, which can lead to both addiction to sweets and a higher tolerance for sweets, which can lead to eating more and more sugary foods. This can have a negative impact on your mood and your energy, and it can lead to some really undesirable medical conditions. Sugar goes by many names: dextrose, sucrose, fructose, lactose, maltose—any chemical that ends in “ose” is a sugar. And—though natural—honey, maple syrup, corn syrup, agave, and cane sugar are also to be called out for what they are: sugars. A sweet treat every now and then isn’t likely to cause any harm, but take it easy on the cookies, cakes, ice cream, and candy. If you consider yourself to be hooked on soda or other sugary soft drinks, give yourself the gift of substituting sparkling mineral water and see how you feel. Try drinking your coffee or tea without sweetener for a week—you may find you don’t even miss it! Next time you’re at the grocery store, challenge yourself to read the ingredients and sugar content on everything you put into your basket. You’re probably going to find sugar hiding in plain sight in all kinds of pantry staples, such as pasta sauce, ketchup, crackers, bread, peanut butter, “healthy” cereals, and salad dressings. And don’t be fooled by claims of “low-fat,” “low-carb,” “natural,” “organic,” or “diet” on any packaged foods. Remember, sugar is natural, just not naturally good for you! Look to the ingredients and serving size before you buy. Everyone knows that eating fruit and vegetables is recommended for a healthy and balanced diet, but beware of the sugar content in bananas, pineapples, figs, cherries, pomegranates, mangoes, kiwis, and plums. Berries are a great choice and low in sugar. Remember that dried fruit looks innocuous, but the dehydration process actually increases the sugar level of cranberries, pears, apricots, figs, apples, peaches, cantaloupe, and other snack-time favorites. Do keep fresh blueberries, raspberries, strawberries, and apples in your rotation, as they are much lower in sugar and are great sources of vitamins. Technically, carbohydrates are a class of food that the body breaks down and either uses for energy on the spot—or stores as fat (energy for later). Not all carbs are created equal! Unprocessed, whole foods, such as brown rice, legumes, and beans are much better choices than processed foods, like white bread, kettle corn, and french fries. Having some carbs in your diet is important for maintaining internal balance and supplying your body and mind with energy, but do so in moderation. Moderation equals balance, and when you achieve balance, the happier and healthier you and your subconscious will be. Yes, humans need some salt in their bodies to flex and contract their muscles, to transmit nerve impulses, and for maintaining a proper balance of fluid. Current USDA guidelines state that 2,400 milligrams of sodium (about 1 teaspoon of salt) is the maximum daily allowance for healthy adults. Yet so many Americans exceed (or ignore) the recommendation. Since more than 70% of the salt in the American diet comes from processed foods and restaurants, according to the Centers for Disease Control and Prevention, keeping within the limit shouldn’t be so hard to do. When you’re dining out, ask for your meal to be prepared with little or no salt—you can always add salt at the table, but you can’t take sodium out once your food’s been cooked. And if you’re eating at home, read the labels of all of your processed foods—or choose whole food ingredients, such as fresh fish, meats, and vegetables, so you can control the amount of salt you add. Most of the time, just a dash will do. By eating well, which I call “eating clean,” you’re fueling a healthy subconscious, and opening yourself up to listen to what your mind, body, and soul truly desires. The mind-body-soul connection is real! You are your temple, so treat your body and brain with kindness and respect so you can live a life you truly love. 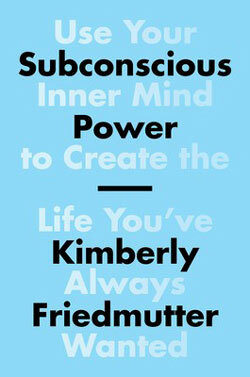 Author of the book Subconscious Power: Use Your Inner Mind to Create the Life You’ve Always Wanted, Kimberly Friedmutter CHt is a certified hypnotherapist, a member at large of the prestigious UCLA Health System Board, the American Board of Hypnotherapy, the Association for Integrative Psychology, the American Board of Neurolinguistics Programing, and the International Hypnosis Federation.